See scan - perfect condition. Comes with original Bertoni Milano plastic case. 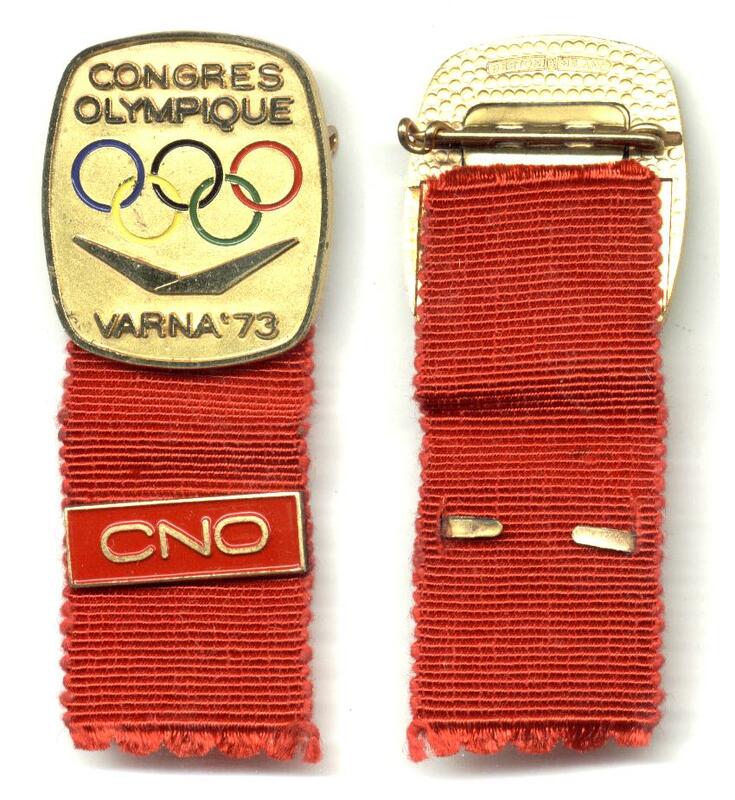 This is a nice and very rare Bulgarian 1973 NOC / CNO Olympic Delegation member badge in gold with original red ribbon and CNO clasp. 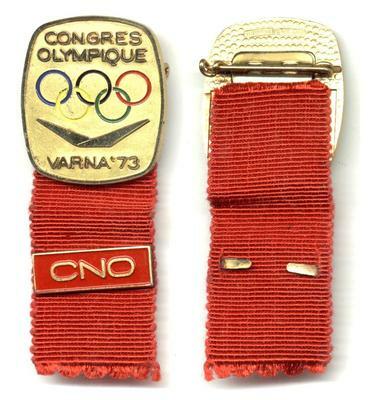 The Congres Olympiq was held in the Bulgarian town of Varna. Absolutely scarce Olympics and Olympic Games collector piece and one of the rare Olympic pins and badges.